Give your home a more custom look. 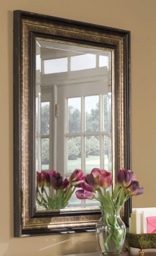 Beautiful, framed mirrors are the latest trend in interior design. 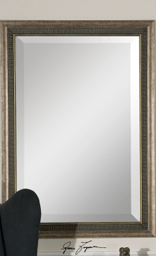 ARC Glass LLC can spruce up your existing bathroom mirror in minutes with a custom frame. 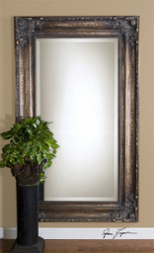 We cut the frames to fit your mirror measurements, and there is no need to buy a whole new mirror. We have over 40 custom frames to choose from, so there is a perfect one to match any decor. 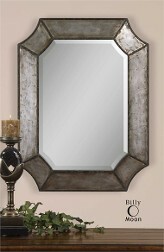 ARC Glass will come to your home to discuss the many framing options available to you for your existing vanity mirror. 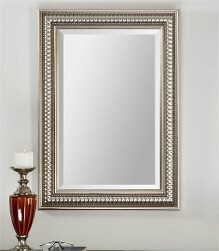 We can also replace your existing mirror if it has silvered or is damaged. ARC Glass serves clients throughout the Houston area. 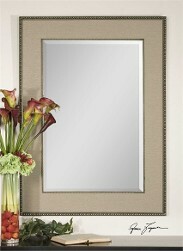 We now carry Uttermost frames in our showroom in a variety of sizes and finishes. 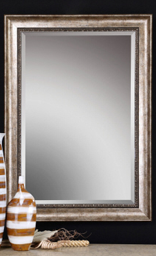 Beveled mirror strips are another option. 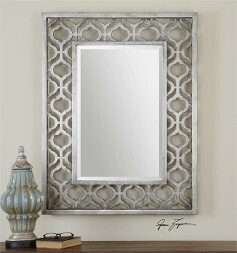 They add dimension and beauty to any mirror.